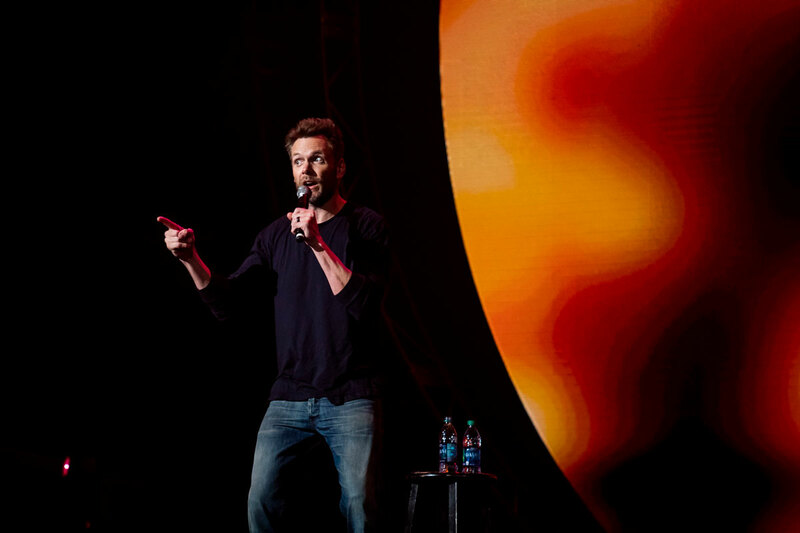 The week kicked off Joel McHale as the headline act at Comedy Knight. He made a name for himself as the host of The Soup on E! and the star of NBC’s Community and later The Joel McHale Show With Joel McHale on Netflix. 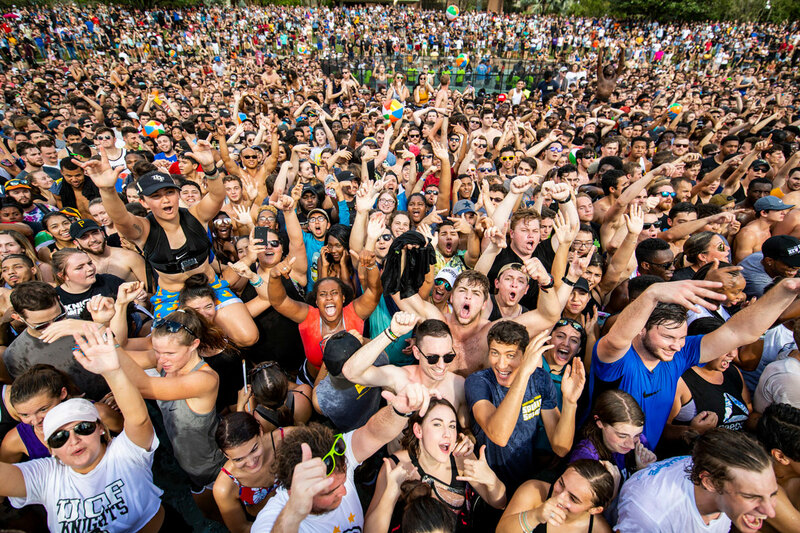 During his set, McHale commented on UCF football’s winning streak and Spirit Splash. 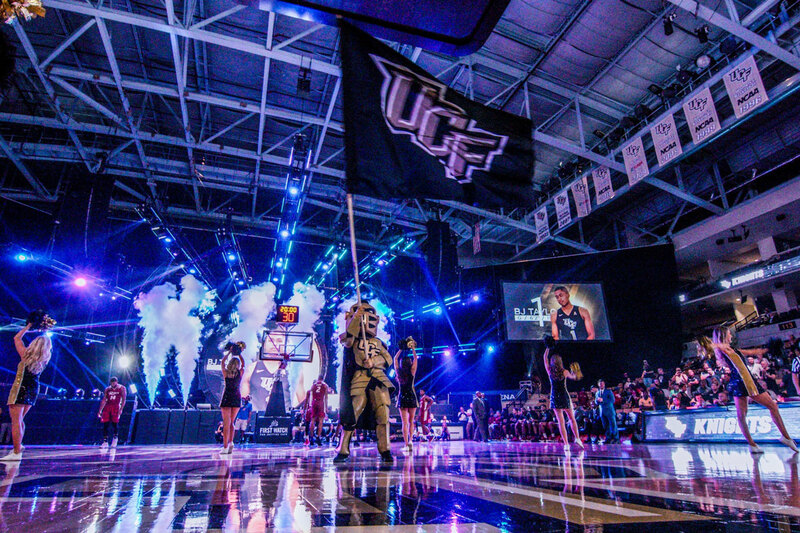 Thanks to CFE Arena’s stage setup for Homecoming week, the men’s basketball team enjoyed a unique atmosphere for its highly anticipated season opener on Tuesday. Senior BJ Taylor led the way with 22 points as four Knights scored in double digits to lift UCF to a 84-70 victory against Rider, the defending Metro Atlantic Athletic Conference champion and 2017 NIT participant. The weekend continued with Knights Got Talent. 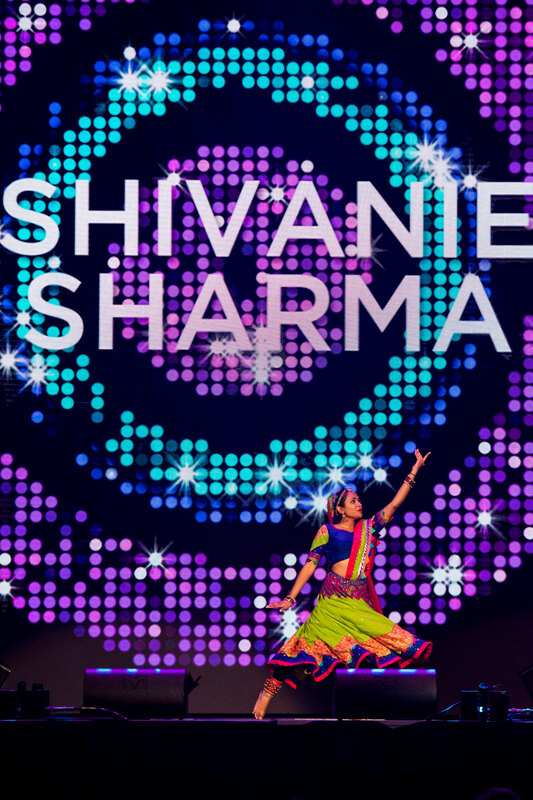 Shivanie Sharma, who performed a traditional Indian dance, was one of 10 acts to compete in the show. Kristen Ng’s rhythmic gymnastics earned runner-up honors at Knights Got Talent. She was edged by Brendan Pafford, who also won Rosen’s Got Talent, who was named champion after singing “I Want You Back” accompanied by his guitar skills. 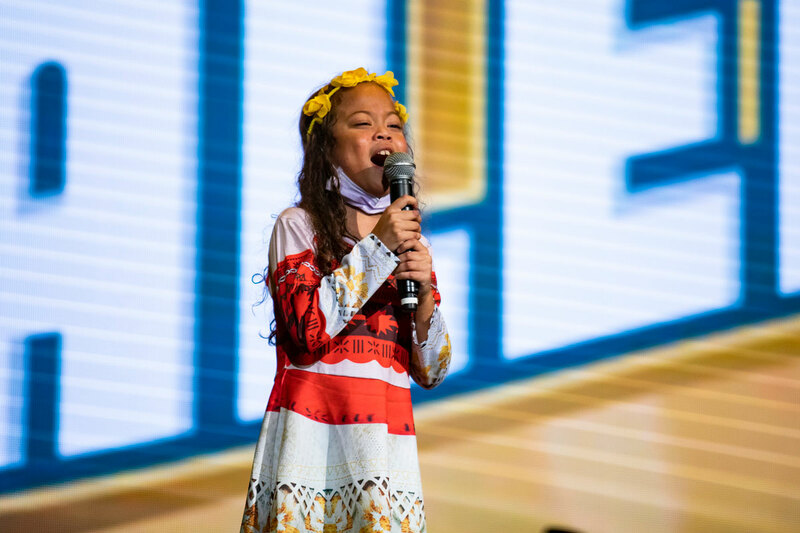 Bellah stole the show when she sang her heart out to “How Far I’ll Go” from the 2016 Disney film Moana. She was there to represent the “Miracle Children” who benefit from Knight-Thon, a 20-hour dance marathon and year-long fundraising effort that is organized annually by UCF students to support the Arnold Palmer Hospital for Children. 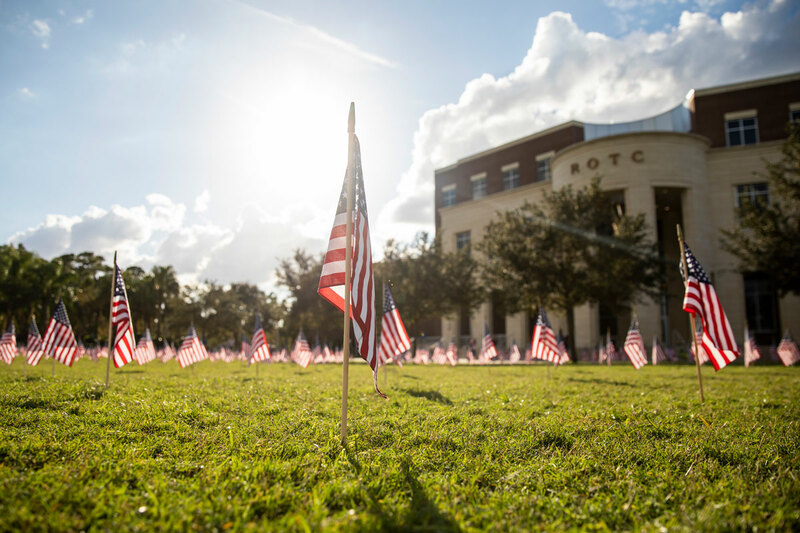 In the middle of Homecoming week, UCF also took time to remember our military ahead of Veterans Day with Nov. 8’s seventh annual Veterans Commemoration Ceremony. The Veterans Academic Resource Center planted more than 1,400 American flags on Memory Mall in front of the Veterans Commemorative Site. Each flag represents one student veteran attending UCF for the fall semester. 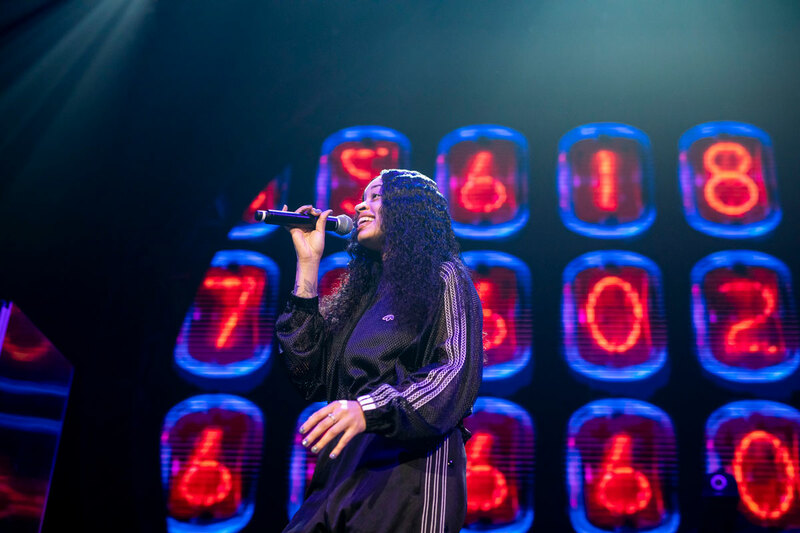 Known for her singles “Boo’d Up” and “Trip” from her recently released self-titled album, British singer Ella Mai had fun with the packed crowd at CFE Arena on Concert Knight. 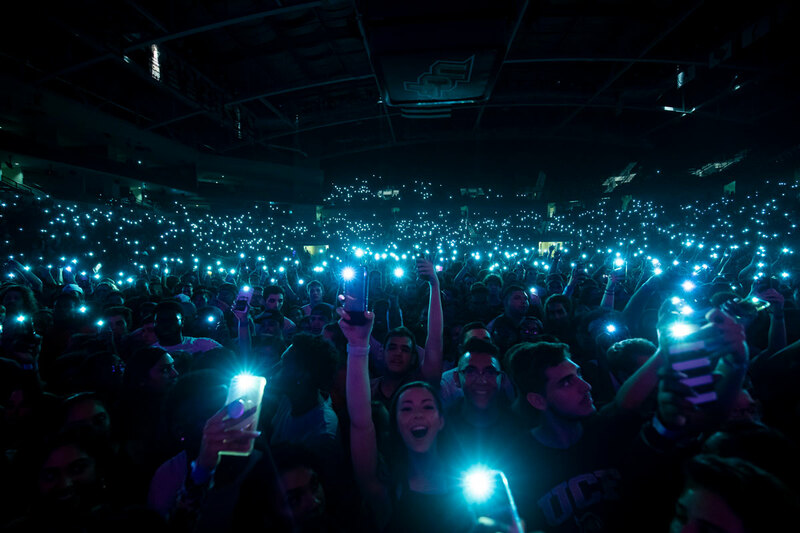 The crowd lights up Concert Knight. 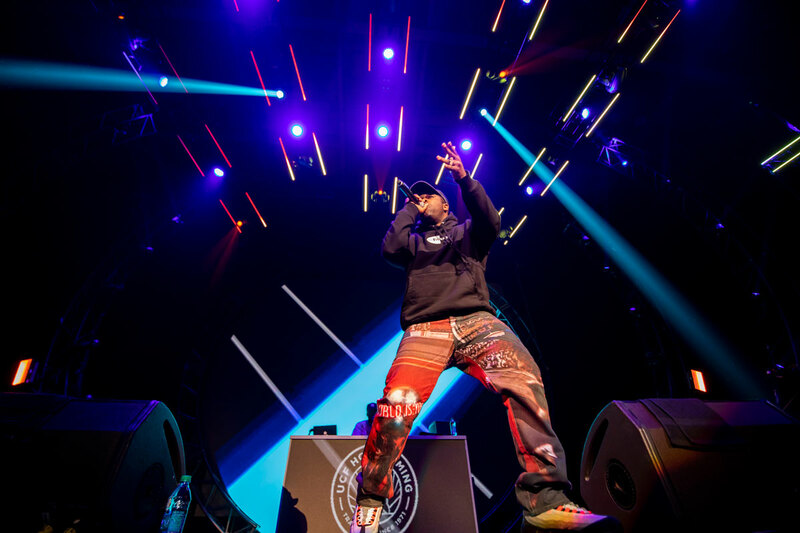 A$AP Mob member and Harlem, New York rapper A$AP Ferg headlined Concert Knight. “Work,” “New Level,” and “Plain Jane” were among some of the hits he performed. 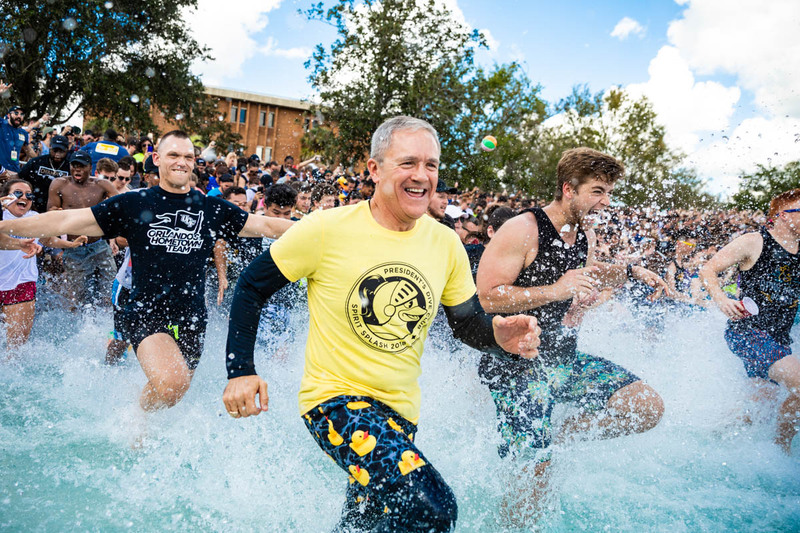 A tradition that’s 23 years strong, Spirit Splash once again drew hundreds of students — and UCF President Dale Whittaker — into the Reflecting Pond. 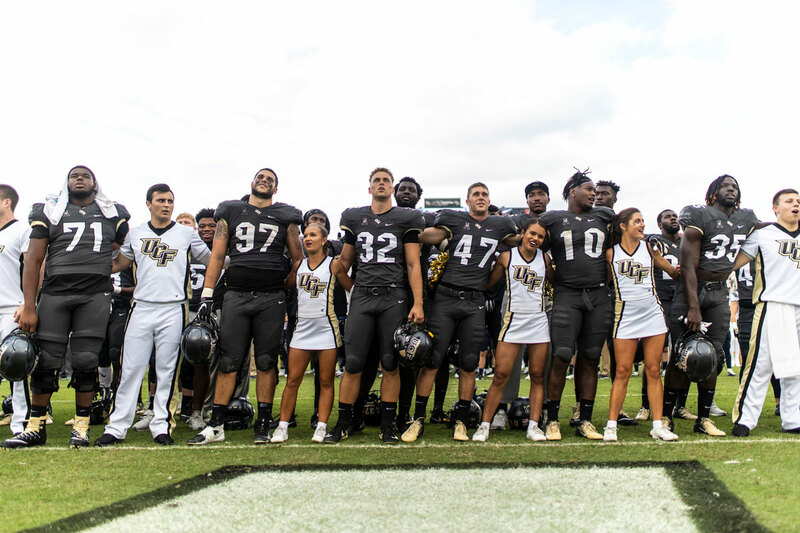 After more than 55,000 students packed Spectrum Stadium for the first five home football games this year, UCF President Dale Whittaker held up his promise to jump in the pond. 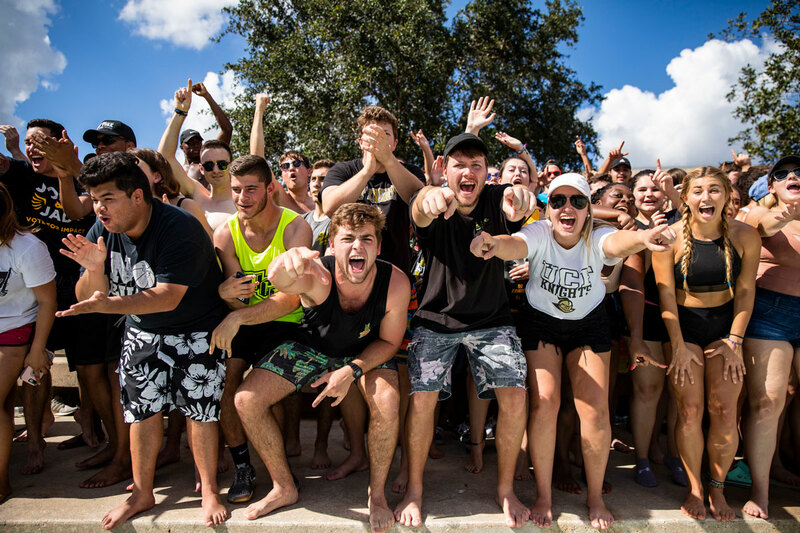 Earlier this semester, Whittaker and UCF Athletics Director Danny White set a challenge for 50,000 students to attend UCF’s home games before Spirit Splash. 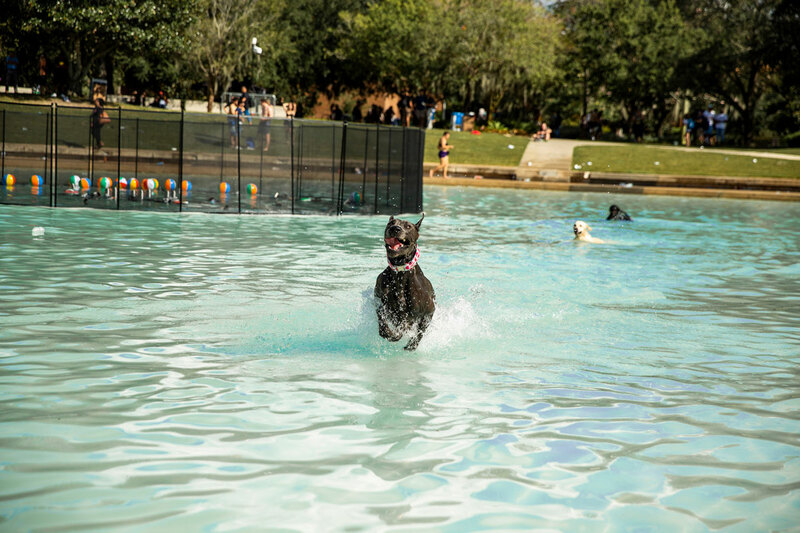 Apparently, Spirit Splash wasn’t just for humans this year. These Spirit Splashers had the opportunity to get their hands on two ducks this year: the 2018-themed duck and a special edition President Whittaker duck. 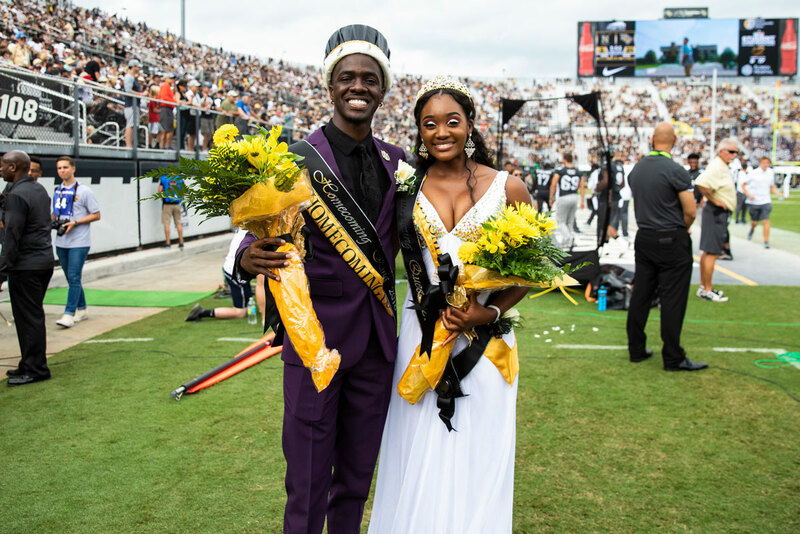 Senior health science majors Alexus Williamson and Darrius McFadden were named Homecoming King and Queen. Following the Knights’ 35-24 win over Navy, the football team and cheerleaders sang the alma mater. 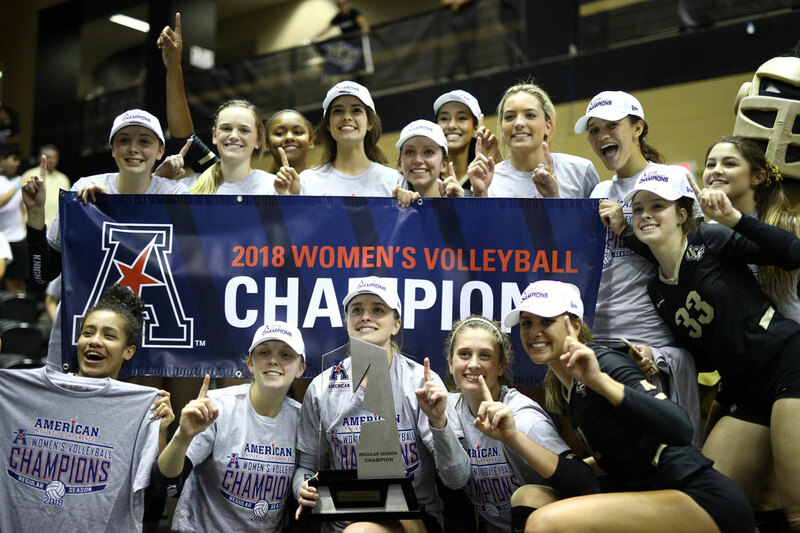 The volleyball team capped the weekend by capturing its second American Athletic Conference Championship in five years with a sweep of East Carolina. It appears winning streaks are contagious around UCF — the volleyball squad’s win on Sunday extended its streak to 21 matches, the fifth-longest active unbeaten stretch in the nation.